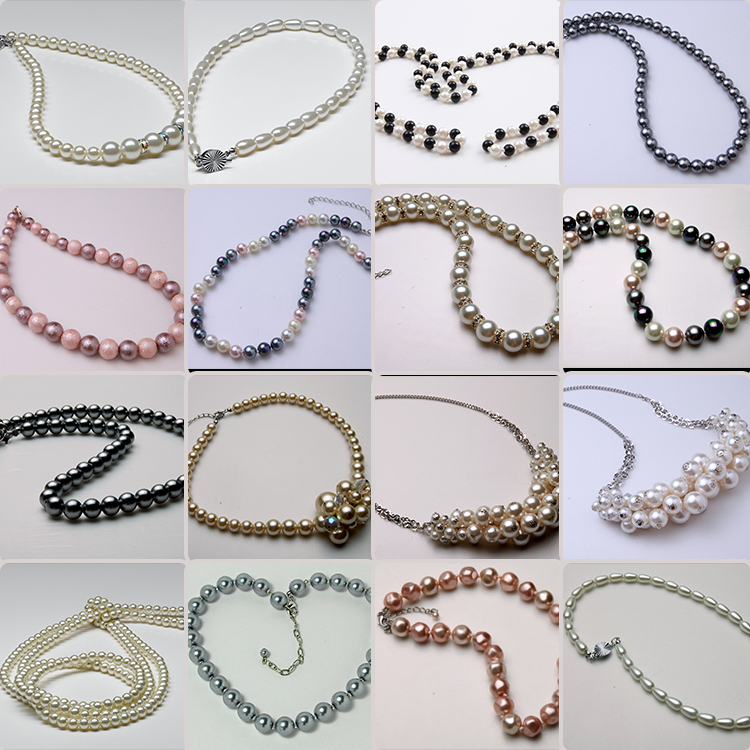 The pearl necklace is made of double-strand glass pearls, can be made of ivory pearls, white pearls, pink pearls, light grey pearls, dark grey pearls for you. 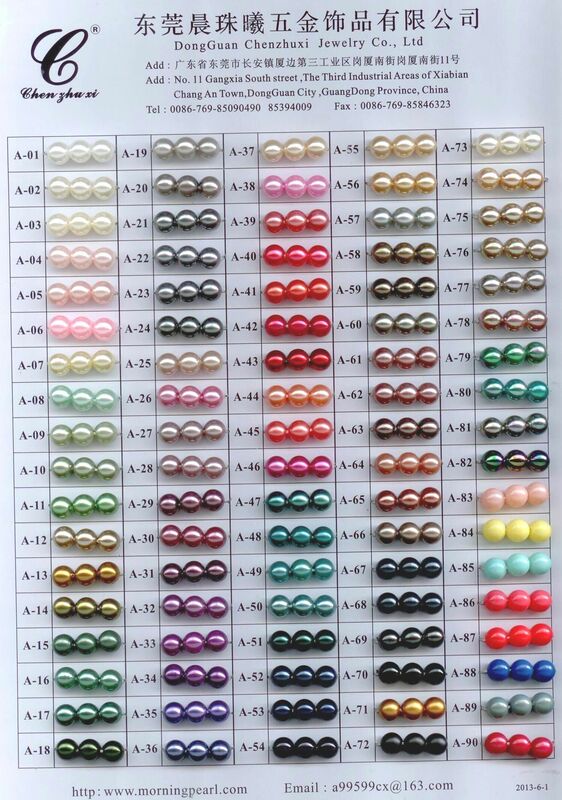 Please select the pearl color you need when checking out. We made the pearl Pendant Necklace with 6mm glass pearls, setting with a big half cut pearl in the middle, finish with necklace insert buckle. 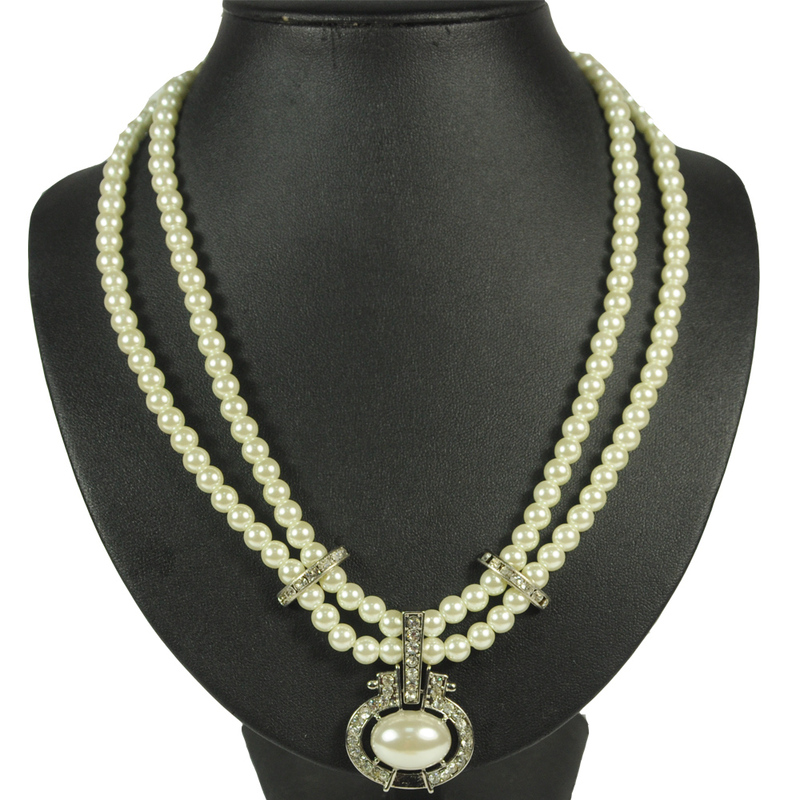 The pearl necklace length: the shorter line is 18inch, longer line is 18.5inch, any length can be custom made, please contact us if you have any specific demand. 2.More than 1000 styles fashion pearl jewelry can be chosen. 5.Standard management for quality control got good reputation in the jewelry industry. Long-term Customer reference can be provided. High-quality products and 1-year quality guarantee. Looking for ideal Pearl Chain with Pendant Manufacturer & supplier ? We have a wide selection at great prices to help you get creative. All the White Pearl Pendant Necklace are quality guaranteed. We are China Origin Factory of Parl Pendant Necklace with Diamond. If you have any question, please feel free to contact us.